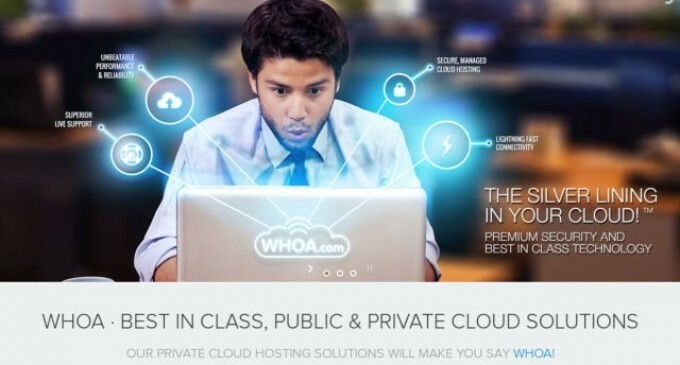 ST. CLAIR SHORES, Mich. – WSM International, the pioneer and leader in server migration services, today announced an agreement with WHOA.com, a leader in providing secure public, private and hybrid cloud computing services. Under terms of the agreement, WSM will provide migration services to WHOA.com customers to relocate some or all of their applications, digital assets, and other computing workloads to WHOA.com enterprise-class, secure cloud infrastructure. The migration services include detailed evaluation and planning to facilitate a smooth transition to WHOA.com cloud computing resources. WHOA.com, based in Hollywood, Florida, specializes in providing computing infrastructure built for security, compliance, performance, service, and cost efficiency. WHOA.com is a leader in next-generation ISO 27001-certified secure cloud solutions. The company offers a comprehensive portfolio of best-in-class secure cloud services for businesses including Infrastructure as a Service (IaaS), cloud storage, disaster recovery, integrated applications and security. The WHOA.com network of multiple Tier IV data centers is strategically located across the country, which prioritizes security, efficiency, and the reliable delivery of business-critical applications. By providing the industry’s finest hardware and software coupled with unbeatable levels of high availability, connectivity, uptime and security, WHOA.com prides itself on delivering the pinnacle of quality available in today’s cloud infrastructure market. To learn more, visit www.WHOA.com or call 877-700-WHOA. WSM International (WSM) created the specialized data migration services segment in 2003, and today is recognized as the largest server and cloud migration service provider in the industry. WSM is the only service provider to guarantee a functionally flawless migration among all cloud, virtual and physical hosting environments, on all operating systems and versions, and virtually any type of application, workload or data asset. In addition to its unrivaled migration experience, WSM offers a full spectrum of cloud adoption and transformation solutions including DevOps, security, compliance and cloud engineering services, as well as application, workload and infrastructure consulting, architecture, development, management and maintenance for just about every type of customer and industry – from small to midsize businesses and institutions to Fortune 100 global enterprises. The company is headquartered in St. Clair Shores, Mich., with regional U.S. and international locations. For more information, visit https://wsmintl.com or email partners@wsmintl.com.